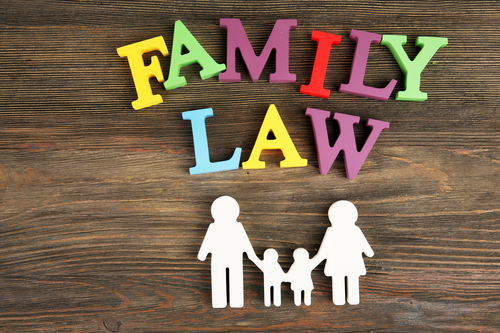 Your family law attorney can help you with various matters including divorce, custody, child support, alimony, and parental rights. Your lawyer is working on your side to ensure your marriage is dissolved as painlessly as possible. At the same time, they can help you reduce the financial burden of the separation, protect your rights as a parent, and answer any questions you may have along the way. The best part is that they’ll simplify the legal process of separation for you. It’s easy to enter into a marriage, but it’s often quite complicated to end one. After you have been married to someone for a number of years, the two of you have accumulated various assets and debts. If you also have children, the issue of separation will be even thornier and more difficult to untangle. Your Daytona Beach divorce attorney can take care of the legal paperwork that binds you to your significant other. While you’ll have to provide financial records and other relevant information, you won’t have to worry about filing deadlines and submission of court fees. Your attorney will take charge and make sure that your divorce is handled as quickly and as smoothly as possible to allow you a fresh start in life. If you’re divorcing with children, you’ll need someone to protect your parental rights. In a divorce, one parent usually has physical custody of the children most of the time while the other parent is granted visitation rights. However, you can still have joint custody over the children, which ensures that all major decisions are made together. It’s important not to give up parental rights just because you want to make your ex-spouse happy. Unless abuse is a concern, most courts prefer for parents to share custody of their children. It has been recognized widely that children do much better mentally and emotionally if they continue to have access to both their parents during and after the divorce. Therefore, a reputable lawyer will not advocate for you or the other parent to give up parental rights altogether. In many marriages, both partners don’t earn the same amount. Therefore, one of the partners may be eligible to receive alimony after the divorce. Similarly, you may have inherited property or money, which doesn’t always become marital property. It’s important to consult with an experienced attorney to properly classify and divide your assets. An attorney who deals with high asset divorce cases is better equipped to protect the assets that belong to you from your spouse during a divorce. Similarly, if your spouse is hiding assets, a lawyer is the one who can uncover the deception and ensure fair treatment in court. In essence, an experienced lawyer can help you save money during your divorce by properly protecting your assets. In the beginning, you’ll probably just feel overwhelmed with the process. It’s good to know that you have an attorney who’ll take care of the paperwork for you, so you don’t have to worry about it. However, as the days and weeks go by, you’re bound to have questions. For example, what will happen to your retirement account? And can you keep the car you’ve been driving even though the title is in the other spouse’s name? Your attorney is available for you to answer any questions you may have. They will also ensure that you are being treated fairly throughout the entire process. Without an attorney involved, it’s all too common for one spouse to walk away with all the cash whereas the other spouse gets stuck with less valuable assets, such as furniture and electronics. The most important reason for hiring an experienced divorce and family law attorney is to simplify the process of the divorce. Your local attorney knows the ins and outs of the court and the rules that govern divorce. They understand the importance of going through all the financial records to get an accurate picture of your net worth, and they know what is needed to uphold your parental rights in court. If you need help with your divorce, the team at The Harr Law Firm is ready to help. Our experienced lawyers can help you reach a divorce agreement that works for your family and minimize the burden on you. Give us a call or use our contact form to get in touch!